At present, entry-level game warden jobs are highly sought after in Georgia. Competition for these jobs is intense at the state and federal levels due to both the relatively small number of positions available and the stringent qualifications required. Successful applicants already enjoy the outdoors and have a strong desire to protect the beauty and natural resources of Georgia all while educating the public about environmental conservation. Often, a single game warden is responsible for the enforcement of wildlife laws for a large region of the state. Typical job responsibilities while patrolling their jurisdiction can include biological duties like data collection and habitat management, tracking bird and mammal migration, among other conservation efforts. Due to the stringent requirements and limited availability of jobs, game warden applicants often apply to multiple agencies and often spend at least a few months as part of a hiring pool of qualified applicants. In a competitive job market, it is important to understand the minimum qualifications, requirements and hiring process so that applicants can be fully prepared for all stages of the selection process. Read more to learn about game warden jobs in the state of Georgia. The Department of Natural Resources in Georgia requires all the Conservation Rangers in its employment to be certified peace officers. Conservations Rangers are driven by a strong desire to protect fish and wildlife in their native habitats and have a passion for law enforcement. Georgia’s Conservation Rangers are primarily committed to managing fish and game regulations, but as Peace Officers they may be called upon to enforce any Georgia law since they have statewide jurisdiction. Additional responsibilities in this role include protecting Georgia’s natural resources from poachers, coordinating and promoting hunter education programs, firearm and boating safety training, surveying fish and wildlife in their habitats, as well as speaking to advocacy groups on safety, regulations and conservation issues. The diversity in the Conservation Ranger role means that candidates should be prepared to demonstrate their qualifications among a pool of other strong candidates. Listed below are the minimum qualifications needed to become a Georgia Conservation Ranger. Additional information as well as job postings are made available to the public through the website at the Georgia Department Natural Resources – Law Enforcement Division. License: A valid Georgia-issued driver’s license is required. Work Eligibility: New employees must present original documents that establish identity and eligibility for U.S. employment opportunities as per federal law – applicants must be eligible to accept employment in the U.S. Academic Credentials: Completion of high school or GED is required. The completion of an Associate’s degree from an accredited college or university OR completion of 60 semester hours from an accredited college or university OR completion of an Associate’s degree from a Technical College is required. 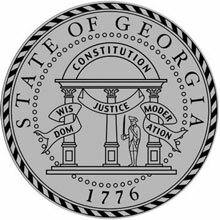 Georgia’s State Human Resources Department would like all applicants to note that that certificates and/or accumulated hours without an Associate’s degree do not qualify. Annual in-service training updates consisting of a minimum of 20 hours each year are required. FBI National Academy and Command College. Interview: Candidates will have an oral interview to evaluate experience and knowledge in the areas of hunting, fishing, boating and related outdoor activities. Outward appearance and deportment may be assessed. Medical evaluation: The candidate’s vision, hearing, ENT, cardiovascular, respiratory, gastrointestinal, rectal, hernia, genital/urinary, back and neck, extremities, nervous system, emotional stability, and laboratory analysis will be evaluated. Hearing: The applicant must be able to hear in ‘normal’ settings and be without significant hearing loss. Vision: The applicant must have better than 20/40 corrected binocular vision with a visual field of 160+ degrees. Candidates cannot be red/green color blind. Ability to take and follow orders and work under stress. Ability to gather information by interviewing people. Ability to use reasoning and judgment to make quick decisions on routine matters without immediate supervision. The Georgia Department of Natural Resources Law Enforcement Division shows the starting salary for new wardens to be $41,236.08 as of 2017. Wardens receive a salary bump in regular intervals throughout their careers and are also eligible for additional increases based on job performance. The DNR also offers a number of benefits to its game wardens, ranging from health and other types of insurance to tax-deferred compensation and retirement. The Georgia Department of Labor reported that game wardens with several years of experience under their belt would typically earn $46,944 ($22.57 hourly). Salary data from the US Bureau of Labor Statistics indicated that the average salary for game wardens in Georgia rose by 13% between 2015 and 2016. The US Bureau of Labor Statistics also indicated that game wardens in the Atlanta area earned exceptionally high salaries, exceeding the state average warden salary by 18%.